To help your pitchers get better movement on their Screwballs have them focus on leading with the thumb into the release. This helps position the hand better for a more complete finish of the snap instead of a common screwball mistake which is an over-twist of the hand entering the snap. 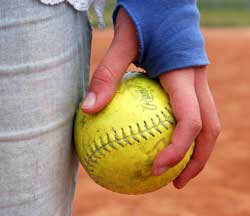 What does leading with the thumb do that helps the pitch to become a better screwball?